Smaller growing Lilac that is perfect for landscape beds with limited space. 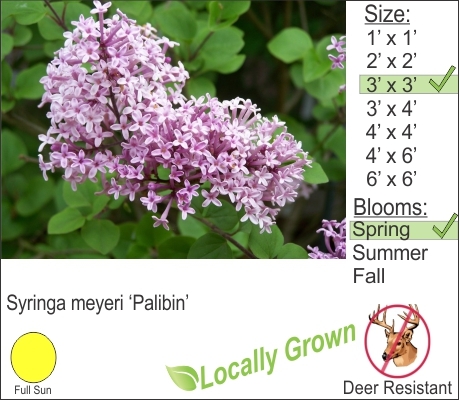 Dwarf Korean Lilac flowers in spring and has good deer resistance. This shrub provides good cover for exposed foundation walls on your home. You can plant burgundy foliage plants like Summer Wine Ninebark to give seasonal interest. You can safely trim lilacs after they have finished flowering.